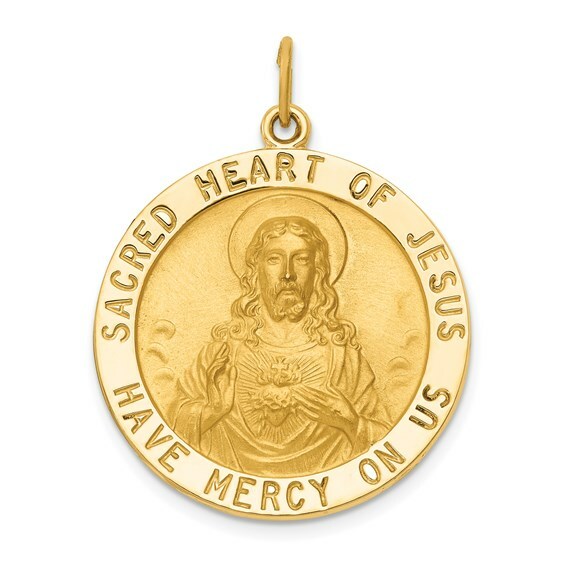 This round sacred heart of Jesus medal is made of solid 14k yellow gold. Item measures 1 inch round without loop and bail. The feast of the Sacred Heart of Jesus celebrates the physical and divine heart of Jesus Christ. It remembers Jesus' redeeming love. Die struck. Flat and polished back. Weight: 5.7 grams. Made in USA.